I’ve had a notion for a long time to build a wooden sailboat and teach myself to sail in it. 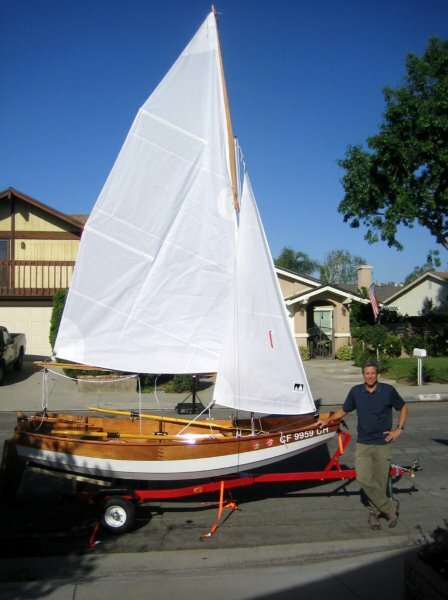 I chose the Passagemaker Take-Apart Dinghy because I could build it and store it in my suburban two-car garage. I wanted the added complexity of a jib to make it more of a challenge to sail properly. The kit is fabulous and goes together like Legos. Minimal fitting required. It weighs only @95 lbs, so it sits on the water like a leaf. 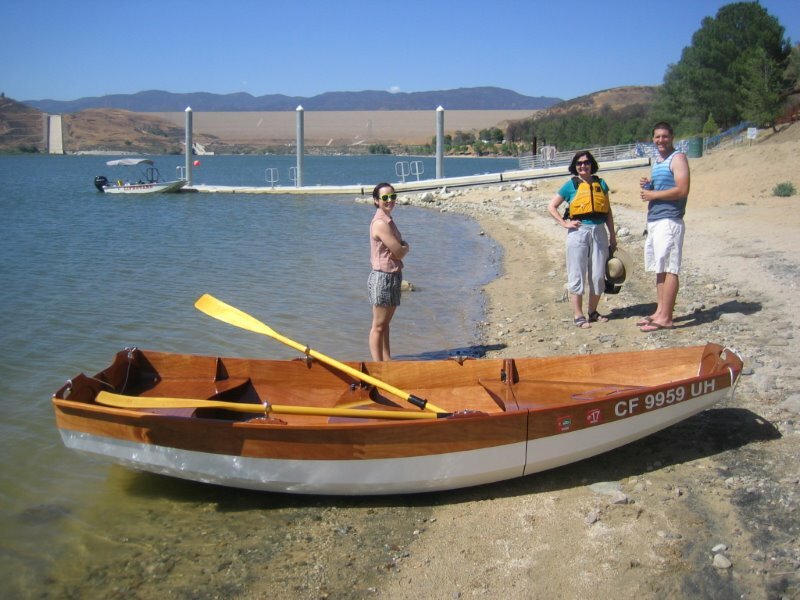 The launching was uneventful, and within minutes, four of us piled in and went rowing about Castaic Lake. I then rigged the sails and went out solo to give it a go. To say that it was an adventure is a serious understatement, but at least I didn’t capsize her. Looking forward to more fun!